Drimpy is a leading organization in medical software development solution in Dutch market, and focuses also on the European market as a whole. The Drimpy online social platform and medical record is already implemented in hospitals in The Netherlands with a positive feedback. The Drimpy team is formed by experienced project leaders on innovative development in international projects, and comprises vast experience with bringing successful innovations to market. The company knows the international market and the business model behind a solution as Many-Me. Drimpy is a coordinator of Many-Me and provides formal and informal care services by using Drimpy features (e.g. PHR, social network) and store/edit/display health data to and for the patient, formal and informal care. The company is also the leader of the business and exploitation plan. Integration of Heart Beat and Heart Rate Variation measuring devices with mobile and desktop platform in order to determine the level of stress and provide recommendations; Integration of NFC and QR technologies with Mobile and Cloud Services in order to produce relevant and personalized content based on the user context (location, searches, etc.) just in time; development of a gamification engine for encouraging users to engage through apps and services with other users; development of Cross Platform apps for Mobile and TV devices; development of user friendly interfaces for Web, Mobile and Desktop devices, and supporting the end-user organizations and pilot test sites in the validation and testing activities. CPX will lead developing the Many-Me platform – technology integration and system development, and will be a supporting partner for the end-user organizations in a testing phase, especially for EURAG. CPX will also be involved in the business plan development, dissemination activities and project management. The University of Geneva participates in the project with the TaM group of the Information Science Institute. Created in January 2012, TaM is currently participating in different national and international R&D projects, all linked to indoor positioning techniques, maps, navigation, and processing of data coming from smartphones’ sensors. The team is composed of PhD candidates, scientists and developers. It possesses know-how to cover the complete lifecycle of an R&D project, from its initial idea to a fully operational prototype. By using agile development methods, UNIGE combines the advantages of fast prototyping, early involvement of users, and high-quality products. Their first main research area is built on top of the Global Positioning Module which allows the integration of localization information coming from different sources, including GPS, Wi-Fi, Bluetooth, as well as movement sensors (accelerometer, gyroscope, etc.). Their second main research area is around mobile sensors, where they have worked on projects like fall detectors, stress and burnout warning systems, or even on artistic projects where guessing the interests of the user just by observing his behavior is essential. UNIGE will participate mainly in the creation of the Many-Me Angel module and will participate also in the system integration, supporting the end-user trials and dissemination activities. Ekkotek is a Cyprus based innovating, new age, technologically forward company which specializes in Website and Mobile application Development, as well as software and multimedia related programming. Ekkotek serves as the Technology Partner and Technology Transfer Office for the Cyprus Neuroscience and Technology Institute (CNTI), a research non-governmental organization with vast experience in the design, implementation and coordination of European and International competitive projects. In Many-Me Ekkotek is responsible for the development of e-learning and communication platform and technical support for the end-user pilot in Cyprus. The company will participate also in dissemination and exploitation activities. 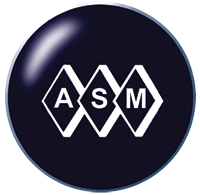 ASM is a private R&D centre, founded in 1996, specialised in socio-economic research, and market and business analysis. ASM has 18 years of experience in project management on national level and over 14 years in EU financed projects. ASM has participated in over 40 EU funded projects as a partner responsible for introduction into R&D activities the element of the market understanding. The tasks covers all range of market analysis (potential and forecasts, clients and competition in depth analysis, market entry barriers, cost of the market implementation for R&D results, value chain analysis), socio-economic analysis, analysis on customers’ and end users’ motivations, behavioural patterns, attitudes, awareness, evaluation of policies and programmes at national and European level, business models identification and validation, business plans, dissemination and exploitation strategies, planning and coordination of communication activities (www, media relations, workshops, conferences, newsletter, brochures, etc.). Currently we have been participating in two AAL projects, three H2020 projects, also some projects from Erasmus+ and FP7. In Many-Me ASM is the leader of market and dissemination activities and will be in charge of all the dissemination activities that will be conducted during the project: website, social media, dissemination materials, ManyMe logo etc. terzStiftung is a non-profit foundation based in Berlingen, Switzerland. The foundation works in two main areas: as a representative body for mature people and as a general service provider in the market for elderly people. As a service provider, they offer consulting services and an information-desk, consisting of a hotline, an online-magazine and a web-portal to advise and solve the problems of their more than 6000 benefactors, in the following subjects: “prevention &health”, “living &habitation”, “finances &law” and “mobility &activity”. As the representative body for mature people, terzStiftung works as a consumer-interest-organisation and as a lobbyist for the needs of the generations 50+. The research department has access to a panel with about 800 participants from the generations 50+. About 330 trained and qualified experts, aged between 50 and 85, years are available to voluntarily engage in the testing of products, facilities, infrastructure and services in their role as mature end-users and critical, informed customers. terzStiftung has been involved in 10 AAL projects to date in the capacity of an end-user organization. In Many-Me terzStiftung is a leaader of analyzing end-user requirements and system specifications and leads the Many-Me pilot evaluation tasks. They will organize end-user workshops, a coordination and planning of primary end user tests and the evaluation of the pilots. Also, they will be implicated in research and dissemination activities. 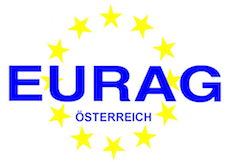 Academic Advisory Board EURAG Austria has access to research and development of new strategies and technologies. Same as the umbrella organisation EURAG, which has been representing the interests of older persons in 34 countries for more than 30 years the local platform is a non-political, non-confessional and non-profit organization. The main focus of EURAG Austria lies in: obtaining life quality and self-determination of senior citizens, maintaining solidarity between the generations, empowering the older generation, preventing discrimination and exclusion of older people. During the last decade, EURAG Austria was involved in different EU-projects: Leonardo da Vinci, Grundtvig, Daphne, AAL and has organized sizable international conferences concerning the topic of ageing. In Many-Me, EURAG acts as an end-user organization and contributes to collecting requirements and conducting lab and field trials. In these areas EURAG works closely together with the other end-user organizations in the planning and organization of the user involvements and evaluation. Additionally, EURAG promotes the project at target specific events. MOB makes sure vulnerable people are able to keep being active in our society, on a self-chosen way. MOB takes cultural and personal/background of all lifestyles into account. They inform, activate, support and help patients and their surrounding people to keep contributing to the society by staying healthy in mind and body. MOB is an organization with many services aimed at living, home and personal environment, cure, care, wellness and caring for your loved ones. Ranging from health, living with a condition, living in poverty conditions and helping the socially and educationally less developed. MOB is always more than just care alone. MOB as an end-user organization provides access to a group of senior adults with dementia in order to test the Many-me system. Also, they are involved in the user requirements analysis and in dissemination of project activities and results. Materia Group is a private sector social enterprise in Cyprus. It is a multi-shareholder organization with 20 shareholders at the moment. It provides a wide range of Care, Nursing and Rehabilitation Services to the Elderly Population of Cyprus, either at the clients’ homes or at Materia’s three facilities in Nicosia. It is considered the main private sector provider of holistic services to the elderly on the island. Philosophy and Management and operations team is based on a multi-disciplinary approach, aiming at best possible services for end users and their families. The group has a database of elderly in the Nicosia region, mainly its current and Rehab alumni clients. Materia was also a co-founder of the NGO Gerontology Research Center along with the University of Nicosia. In Many-Me Materia provides access to a group of senior adults with dementia in order to test the Many-Me system. Also, they will be involved in the user requirements and dissemination of project activities and results.